I still remember the day when I had to face the fact that I was imperfect. I was in fifth grade, a dutiful student in David Wolf’s Language Arts class, memorizing spelling words for weekly quizzes. I was an anxious child and a perfectionist, dreading every possible mistake. And then the unthinkable happened: I misspelled a word. I dug my nails into my hand in self-blame. Everyone makes mistakes. Be kind to yourself. You will have another chance. I think of this story this week with Parashat Noach, which tells of a world so steeped in imperfection. We see a world in turmoil, sin-ravaged, with just one simple man and his family standing out from the pack. Human wickedness causes God to regret all of creation — the world is too spoiled, too imperfect. Let’s try again with just Noah, God says. Perhaps perfection can then be possible. And yet, after the flood, the world is no more utopian than before. God utters perhaps the most pessimistic line in the Torah: “Never again will I doom the earth because of man, since the devisings of man’s mind are evil from his youth” (Gen. 8:21). Imperfection – even evil – is part of human nature. And in truth, when I look at the many terrors and troubles in the world around us, it’s hard for me to disagree. So how do those of us engaged in tikkun olam, perfectionists in our hearts, continue to have courage among this imperfection? I look to the next part of our parashah for inspiration, where God plays the role of teacher and coach to humanity. Let’s make a covenant together, God says. There will be consequences for mistakes – but I will stand by you, no matter what. And God gives the rainbow as a sign of the covenant. May we all be blessed to have teachers and mentors who help us make mistakes, forgive ourselves, and live perfectly well in our imperfect world. 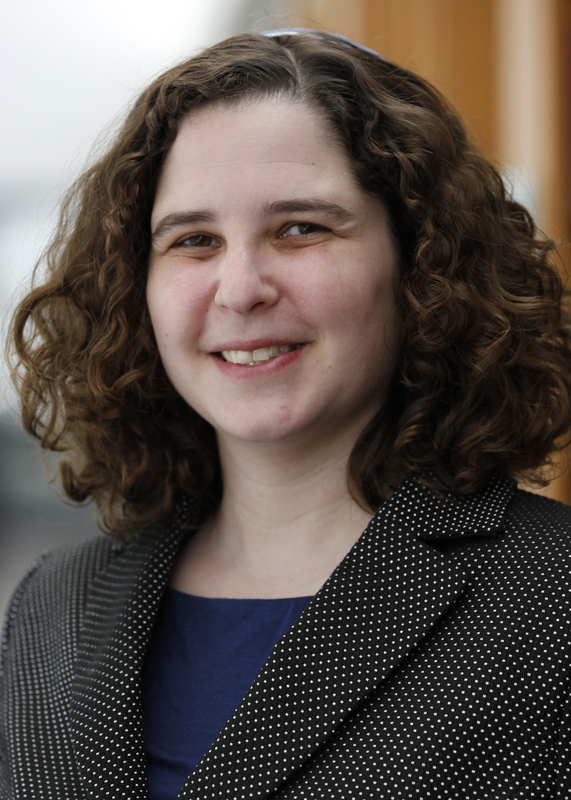 Rabbi Sara Meirowitz ’91 is Assistant Chair of Jewish Studies at Gann Academy in Waltham, MA.